Advisors specialize in one of six thematic collections of majors called “Flight Paths” which are designed to better advise and communicate to students the many academic and career paths available at the University of Oregon. Under the supervision of the College and Career Advising Director, the Academic Advising Coordinators in Tykeson Hall serve as administrative leaders within their assigned Flight Path unit and supervise 4-8 Advisors. Coordinators also work alongside their Advisors to provide integrated academic and career advising, services, and activities to assist students with academic and/or career planning. Tykeson Advisors and Coordinators are cross-trained to advise students who are at various stages in their academic career, from an integrated first-year experience to major and career exploration and selection. Advisors are focused on promoting student success, retention, and completion. 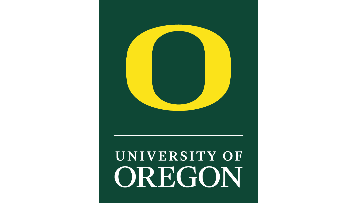 They use tools and resources to gain general knowledge of UO majors, and also specialize in a Flight Path to better counsel students and provide information about the many academic and professional options available that are consistent with their interests, abilities, and passions. Advisors will help students develop academic and career plans and goals, and leverage available resources to achieve academic success. They work in a fast-paced, drop-in and appointment-based office setting delivering advising services on a year-round basis in both one-on-one and group settings. In collaboration with the Director for College and Career Advising, Coordinators will also work with departmental, program, and advising leaders to implement a new framework for integrated academic and career advising, develop strong referral practices, and promote dissemination of information and advising practices. Coordinators must be culturally competent and able to work with first-generation, low income, underrepresented, international, and transfer students. They must be skilled in addressing the needs of re-entry students, students in crisis, and students experiencing scholastic difficulty. Coordinators must also demonstrate respect for all individuals, welcome diversity among students and colleagues, and actively work toward an inclusive workplace. • Four years’ experience in a high school, college, university, counseling or similar setting providing academic advising, advising support, student services, career counseling, or counseling. • Demonstrated abilities in developing, implementing, and assessing specialized advising programs/services. • Ability to use data and professional literature to guide practice. • Demonstrated understanding of issues facing diverse students, low-socioeconomic, first-generation, underrepresented, non-traditional, disadvantaged, and under-prepared individuals. • A master’s degree in education, counseling, student services/student affairs, higher education leadership, or related field. • Experience in supervision/leadership of special projects, project teams, staff, and or students. • Experience in program coordination and development in a college/university environment. • Demonstrated knowledge of university systems and structures. The Division of Undergraduate Studies (UGS) promotes academic excellence, universal access, engagement and achievement for the student scholar. UGS programs focus on the educational trajectory of the student by providing opportunities and services essential for progress toward scholastic objectives and intellectual development. UGS departments and programs serve the entire population of UO undergraduate students and partner closely with other campus units to support student success and engagement.